Built from recycled, recovered lumber. Contact store for details. 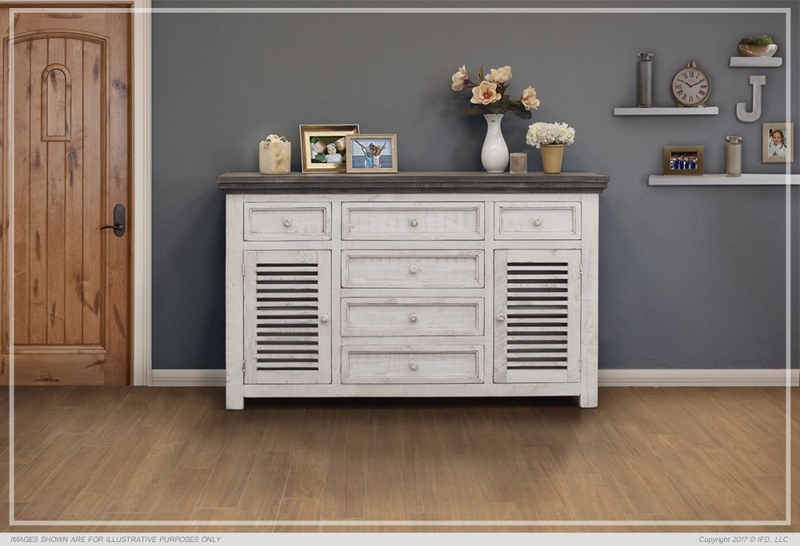 Features: white distressed finish on hand brushed wood, six drawers, two doors with shelves behind, Mortise and Tenon construction.